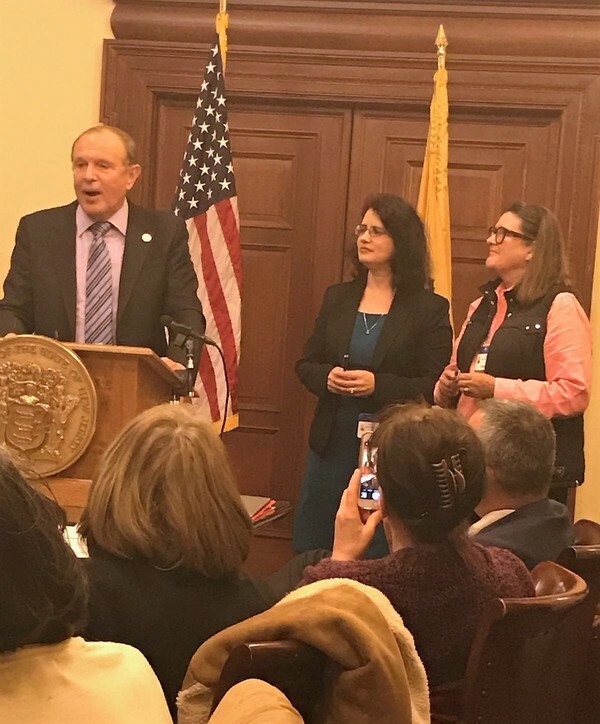 On Monday February 27th Senator Raymond J. Lesniak conducted a well attended Press Conference in the NJ State House in support of two bills he is sponsoring. A co-sponsor of the Senate bill is Senator Kip Bateman; the prime sponsor of the Assembly bill is Assemblyman John McKeon. One bill will protect populations of species of fauna or flora that are of special concern, rare, threatened, or endangered, and their habitats and unique and fragile ecosystems by (1) setting forth certain conditions impacting such species and habitat on State-owned lands, and (2) codifying the Department of Environmental Protection’s “Landscape Project.” The other bill would amend the Highlands Act to exempt forestry activities only on private lands in the Highlands. These two bills provide an important additional level of protection to the Highlands most precious forests which should have been part of the Highlands Act. We look forward to these bills passing into law to help preserve and protect our priceless forests for future generations to come. "I enjoyed the trip to Montclair State University, where not only did I get to see an amazing campus, but also met a wide array of environmentalists from different parts of NJ, all under one roof, where we hosted a hearing discussing the proposal to put more septic systems in the Highlands." The Coalition also hosted Sameer at the ANJEC Congress last Fall, where he met more environmentalists and attended workshops. 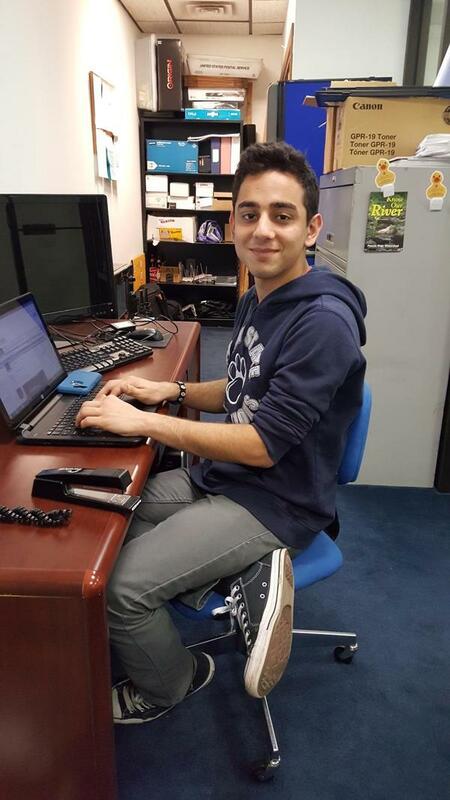 Sameer expects to continue to volunteer for the Coalition for his senior year, concluding an outstanding three year commitment. "I want to obtain a Bio-Chem degree and use that to hopefully get funded and start private research on new materials aiding in helping to lessen human impact on the environment and the atmosphere." Participated in a mini-medical program hosted by Rutgers in which I had the opportunity to listen and interact with expert scientists and doctors in their respected fields. We would like to thank Sameer for his hard work and commitment to the Highlands Coalition. We look forward to seeing him continue to achieve great things in his future education and career aspirations. The Highlands Council met Thursday, February 16th. One item on the Agenda was a resolution to approve a redevelopment area in the Borough of Bloomsbury including an expanded gas station and a new restaurant, to be constructed on karst limestone in an adjacent corn field. Council staff recommended approval. Unexpectedly, the resolution was rejected by a 7 to 6 vote; on the Council 8 positive votes are needed to pass any resolution. The Highlands Coalition opposed this redevelopment activity in the Preservation Area, and we consider this a favorable outcome. Positively, we believe this vote showed the potential for future Council recommendations to be opposed by a majority of Council members if members believe they do not meet the spirit of the Highlands Act. 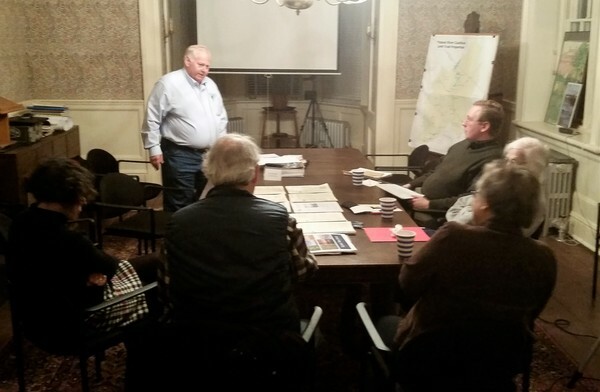 On February 15th the Highlands Advocates met for an exclusive Municipal Land Use Seminar led by Sandy Batty (our President and past Executive Director of ANJEC) and Dave Peifer (Highlands Project Director). The Seminar was held at the beautiful and historic Willow Hall in Morristown (home to member organization Passaic River Coalition) where advocates came together to broaden their Highlands knowledge. Sandy gave an enlightening presentation on the Municipal Land Use Law and how it can help protect your community and your environment. Dave gave a great presentation on the past, present and future of the Highlands and how we should position our communities to ensure the best protection and preservation of NJ's precious natural resources moving forward. Keep an eye out for a full version of the seminar that will be edited and posted to our website. Begin your Earth Day Celebration with a great brew and delicious grub at the Hopped Up Scavenger Pub Crawl in Hackettstown. 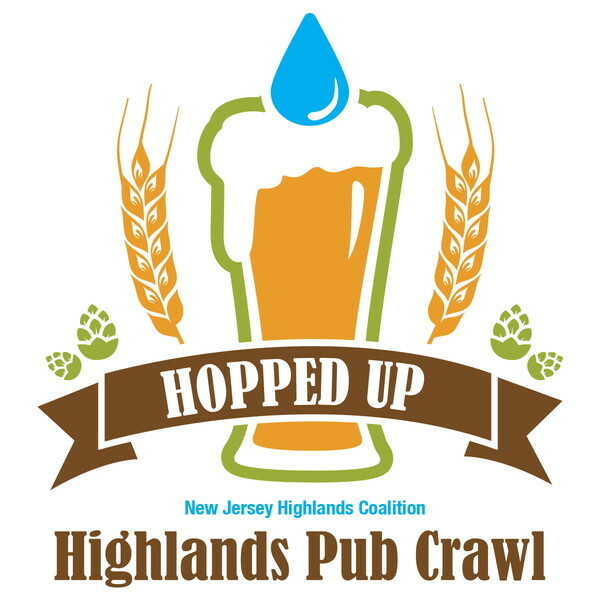 Our Hopped Up Scavenger Pub Crawl (4/22/17) features stops at various locations around the Hackettstown area. Join us and enjoy the specials being offered at each of the participating locations. Purchase a ticket in advance for $20 (plus Eventbrite fees) HERE or at the Headquarters of the event (Man Skirt on Main Street) for $25. To sweeten the deal, we have fun and interactive trivia-challenges/clues at each bar, an Instragram competition, and a commemorative t-shirt. We hope to see you at our Hackettstown Earth Day Scavenger Pub Crawl. The celebration starts at Noon and lasts until 8PM. Things are going to be fun–and even more so if you come! Mark your calendars for our 2nd Annual Golf Outing at Hawk Pointe Golf Club on Thursday, May 11th, 2017. Join us on the course with your foursome or as a gold, silver or platinum level sponsor! Learn more about our event and how to become a part of it with our online brochure. Led by George Stafford, our Uphold the Highlands program, which has garnered well over 100 municipalities’, counties’ and regional and local Environmental Commissions’ support for the Highlands Act and Regional Master Plan, is moving into a new phase. We hugely appreciate those communities being open minded and taking the time to understand and appreciate our efforts, even if sometimes they asked for a little persuasion! We have not given up on the remaining communities, which are still being pursued actively, albeit more slowly than earlier converts. Our outreach has now expanded to other efforts seeking local and governmental support. We, of course, will still approach targeted towns outside the Highlands that receive water from the Highlands to approve our Resolution of Support for the Highlands Act. But now, we are working with both the Keep It Green Campaign and SaveH2ONJ on resolutions advocating continued funding support for Open Space acquisition, and for the release of the long delayed New Jersey Water Supply Plan, which was finished in 2011 but has not been released to the public to inform and support local and regional planning decisions respectively. Communities as diverse as Bernardsville, Newark and George Stafford’s home town of Wharton have recently signed on to both of these resolutions. Political events both in Washington and here in New Jersey have made the local and regional governmental/political picture somewhat more than cloudy, but having met with officials inside and outside the Highlands in places like Stanhope and Paterson, we continue to promote the important economic and environmental values of the Highlands. We have been busy showing the NJN film "The Highlands Rediscovered" and we would like to continue sharing this beautiful and informative film. We're happy to work with your organization (or an organization you know) if interested in hosting the New Jersey Highlands Coalition for a free screening of this film, followed by a short Q&A session. Just let us know where and when! 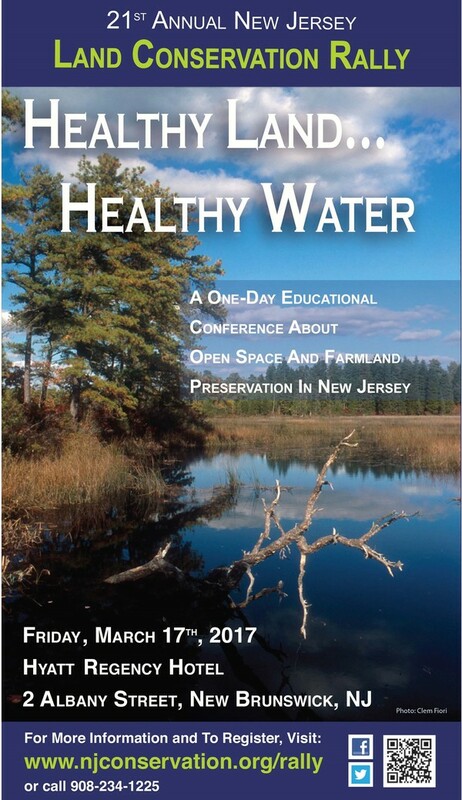 for the latest news and exclusive behind the scenes access to the NJ Highlands Coalition! 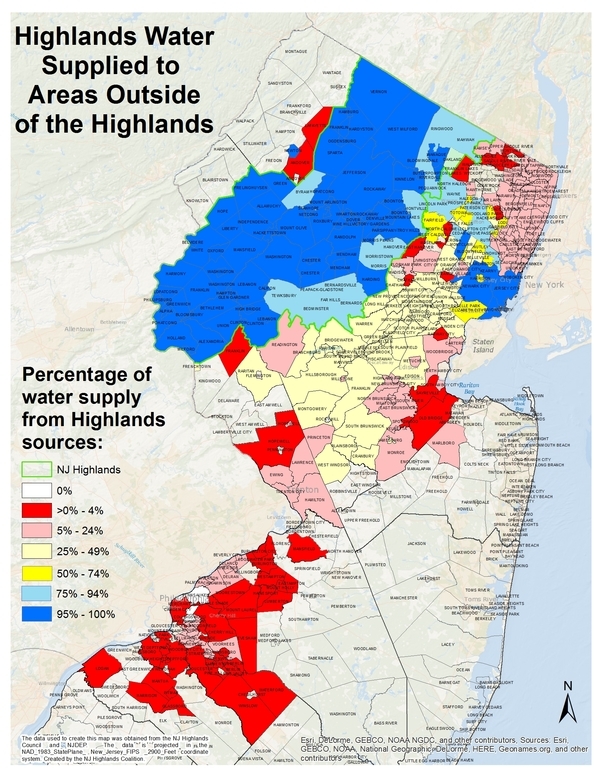 represents a diverse network of organizations - small and large, local, regional, statewide and national - and individuals with the common goal to protect, enhance and restore the New Jersey Highlands and to preserve the quality and quantity of drinking water both for the 850,000 people in the Highlands as well as the more than 5.4 million people in surrounding areas who depend on Highlands water. For more information visit our website.